where do you publish those information? I was wondering how you know when certain updates have replaced others. I have not been able to figure that out, and it is a little frustrating! 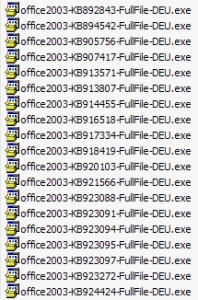 I usually just end up applying the updates in the number order of the KB, and hoping that in that case it should take care of itself. Although I would like it much better if I did not have to slipstream any unnecessary updates. Then scroll down to the FAQ section and expand it. Check the list and see if the product you want updates for has a field with "Replaced". If so, follow the link to the bulletin ID. 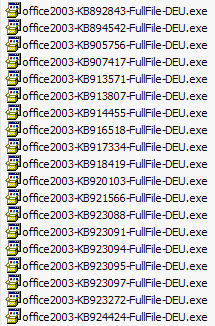 Under the "Affected software" section you will find the KB number of the replaced update.